Yehliu Geopark is an area of outstanding geological importance and is famous for its concentration of curious rock formations rarely found together anywhere else in the world. The park itself is almost entirely located on a small peninsula that juts a little over a mile into the sea. It’s located on the north coast of Taiwan near to the town of Wanli and around 21 miles, by road, from the capital city Taipei. Some of the most unusual formations are the Candle Rocks which never fail to capture the attention of visiting tourists. Thousands of years of erosion from wind and waves have created a series of raised depressions that look like small volcanic craters with smooth sides and central pools. Most of the formations also feature a smaller rock in the tidal pool like a giant marble in a clay dish. 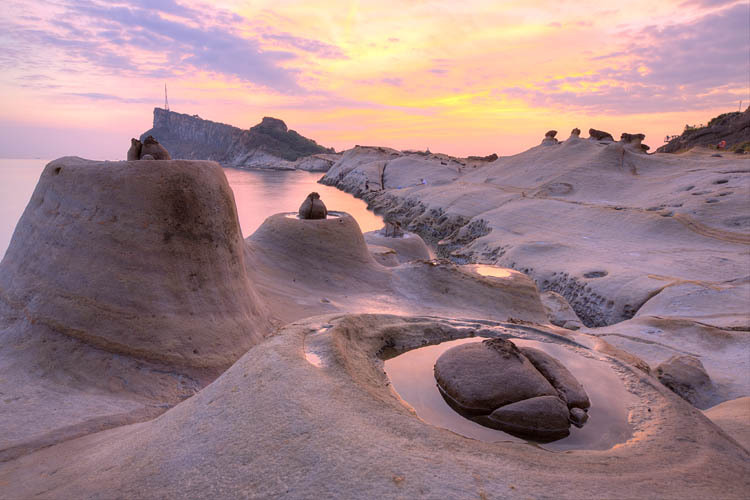 Yehliu Geopark Taiwan – Candle Rocks with their distinctive volcano-shaped cone. There are three processes needed to create a candle rock. The first is a ball-shaped concretion within the rock layer which is more resilient to erosion than the surrounding sandstone. 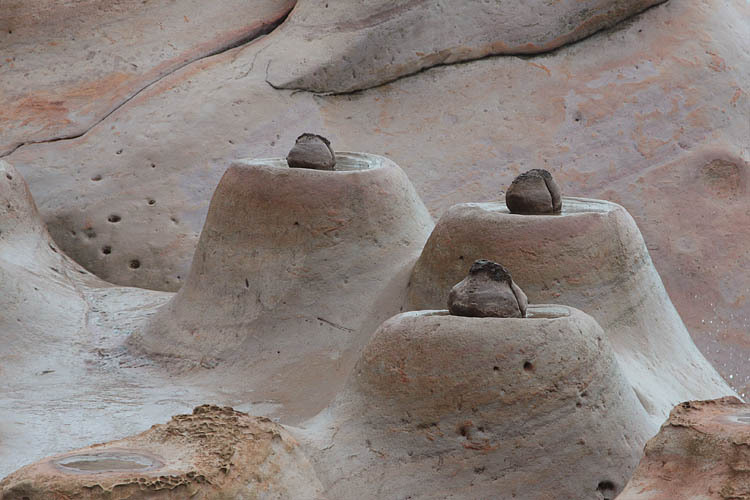 As the surrounding ground experiences uplift or changes in sea levels, the sandstone is eroded leaving behind the typical conical shape associated with the formation. The central concretion causes the water to swirl creating a pool or candle tray in the softer cone. Emerging Candle Rock formations behind long-term existing cones at Yehliu Geopark. 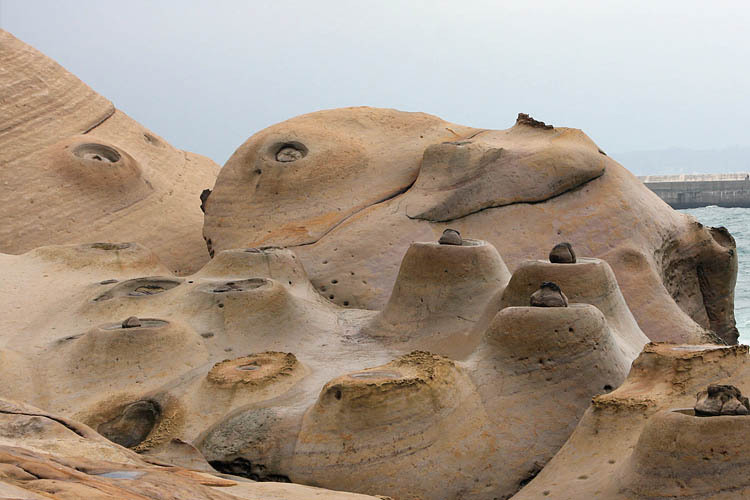 Visitors to Yehliu Geo-park often find it hard to believe that these strange rock formations have not had a helping hand from a human sculptor but the truth is that they are entire the work of mother nature. Candles rocks vary in size but can be up to two meters in height and just as wide.